First Oxford India Lecture highlights role of ?smart health? Mobile phones and smart devices will have a large role to play in improving access to healthcare and involving patients more in their own treatment, a leading Oxford University academic has said in a lecture in New Delhi. Solving the large challenges facing healthcare systems around the world will require a huge shift in the way care for patients is provided, Professor Robyn Norton said in the first Oxford India Lecture on Monday 15 September. Professor Robyn Norton is Principal Director of The George Institute for Global Health and James Martin Professorial Fellow at the University of Oxford. This is the first time the University of Oxford has organised such an event in India, and is only the second time it has done so outside the UK following last year’s Oxford China Lecture in Shanghai. It reflects the strong ties the University has in India, particularly through world-class partnerships with many Indian research institutions. Professor Norton’s lecture, ‘Mobilising healthcare: harnessing science, technology and entrepreneurship’, for an invited audience was introduced by the Vice-Chancellor of Oxford University, Professor Andrew Hamilton. Professor Andrew Hamilton said: ‘We are delighted to be holding the first Oxford India Lecture in New Delhi. 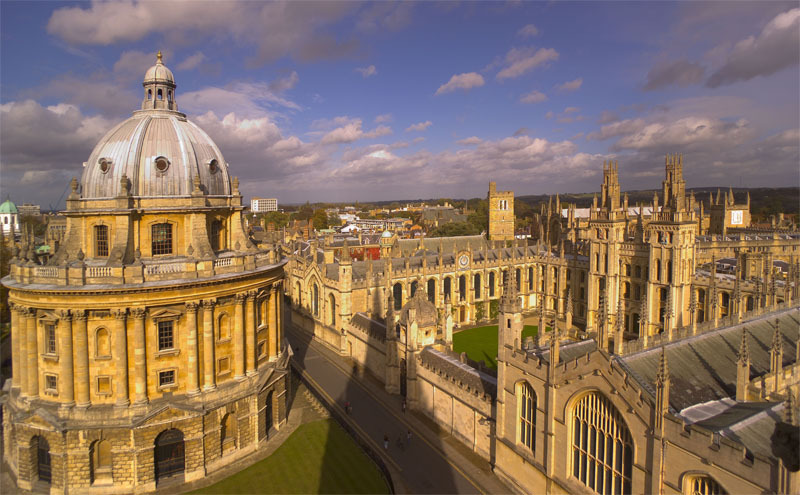 We want to celebrate the many links between Oxford and India that have existed for many years. Indeed, the large number of research partnerships that exist between Indian institutions and Oxford University is likely to surprise many people. Professor Norton believes that the transformative change needed in healthcare – the UK, in India and globally – will need to harness science, technology and entrepreneurship, and be based on the best medical evidence. She used her lecture to look at how technology, together with cutting edge research and expertise from business, can ensure that many more people can access decent healthcare in the years to come. She gave a number of examples of medical research taking place in India through Oxford-India research partnerships and through the work of the George Institute for Global Health. In the UK, there is increasing demand for care but also increasing pressures on the NHS’s finances, coupled with a need to move away from hospitals to care provided in people’s homes and communities. In India, there is a great challenge for healthcare systems and infrastructure to achieve universal health access, reach large rural areas, and cater for the growing middle classes without the increase in health spend breaking the bank. Digital and mobile phone technologies can help in diagnosing patients with disease or at high risk of disease, increase the role of healthcare workers other than doctors in clinical decision making, and enable patients to monitor their own condition or manage their own treatment. One example is a ‘smart health’ project being trialled in India by The George Institute for Global Health, with the support of the Institute of Biomedical Engineering at Oxford University. Health workers in rural areas are being trained to use a smartphone programmed with custom-designed software, to help them identify and manage people with heart problems. Evidence-based guidelines for heart disease have been incorporated to enable health workers to obtain the right information from patients about their symptoms, to then determine the condition an individual has, and then to assist them in determining the way treatment should be provided. The system also allows doctors centrally to monitor the decisions being made. The research is showing that the lower-level health workers in the field are identifying health problems and recommending the best treatments equivalently to highly-trained doctors in more well-equipped clinics. With there being many times fewer doctors per head of population in India than in the UK, approaches like this could make a significant difference in improving access to the best healthcare. Professor Robyn Norton, Principal Director of The George Institute for Global Health and James Martin Professorial Fellow at the University of Oxford, gave the Oxford India Lecture on Monday 15 September 2014 at the Leela Palace Hotel in New Delhi.